Whether you are an experienced woodworker or a do-it-yourself novice, working with plywood and plywood furniture plans makes it easy for you to build beautiful pieces of furniture for your home or yard. Full 3/4 inch - Hardwood veneer plywood actually measures 3/4 inch and is described as "full thickness"
Although most plans for making plywood furniture include recommendations for the type of plywood to use, there are some plans where that information is not given. 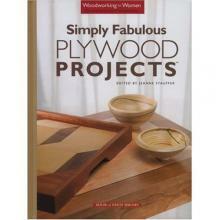 Generally, woodworkers choose 3/4 inch thick plywood for most of their furniture building projects. Plywood is graded using a system of letters from A through D. Grade A plywood is the best quality and is well sanded with few, if any, blemishes. Grade D plywood is generally roughly sanded contains a large number of blemishes. Most plywood usually has two grade letters. For example, a sheet of plywood with the letters A-C means one side, called the face, is the highest grade while the other side is a lower grade of plywood. The layers of the plywood are bonded together using different types of glue. 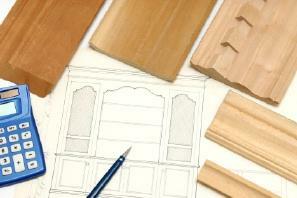 There are four common types of plywood bonding resulting in four distinct kinds of plywood. Interior plywood is used for making furniture that is not often exposed to moisture. Exterior plywood is a good choice for furniture that is exposed to moisture. Marine plywood, typically graded A-A, is moisture resistant. Structural plywood, graded CDX, is strongly bonded with little visual appeal. Simply Fabulous Plywood Projects by Jeanne Stauffer includes instructions for making everything from kitchen cabinets to beautiful decorative trays and bowls. Building Real Furniture for Everyday Life by Chris Gleason provides detailed plans for many types of furniture including futons, night stands and dressers. Quick and Easy Weekend Woodworking Projects from the editors of Popular Woodworking Magazine includes an Arts and Crafts bookcase, tables and shelving units. There are plywood furniture plans available for many different types and styles of furniture.